Auto Accidents Attorney | New York & New Jersey | Law Offices of Adam M. Thompson, P.C. 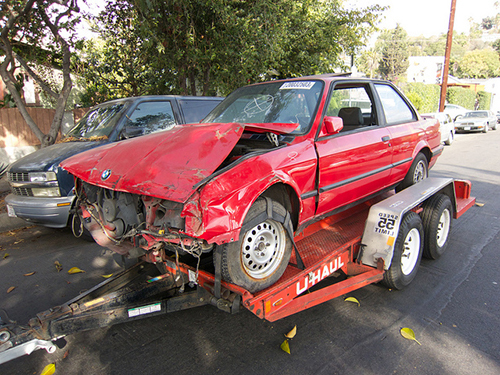 An auto accident is typically a frightening experience for the victims. All too often a victim suffers physical and emotional injuries as a result of the collision. To make matters worse, a victim frequently faces financial hardship if the injuries leave the victim unable to work for some time after the accident. If you have been injured in an auto accident you could be entitled to compensation for your injuries if another party caused, or contributed to, the collision. To ensure that you are fully and fairly compensated for all your injuries you need an experienced auto accident attorney on your side. What should I do if I am in an auto accident? Click here for more information. At the Law Offices of Adam M. Thompson, P.C., we understand the devastation an auto accident can cause to a victim and the victim's family. We cannot turn back the clock and prevent the collision; however, we can make sure the at-fault party is held accountable for your suffering and ensure that you receive the maximum amount of compensation to which you are entitled for your injuries. 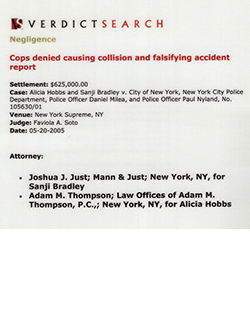 If you have been the victim of a New York City auto accident, contact the Law Offices of Adam M. Thompson, P.C. by calling 212-267-2424 or by filling out our online contact form. We also proudly serve New York State and New Jersey. Medically determined injury or impairment of a nonpermanent nature, which prevents the injured person from performing substantially all of the material acts which constitute such person's usual or customary activities for not less than 90 days during the 180 days immediately following the occurrence or injury. The type and extent of compensation to which a victim is entitled to for injuries suffered in an auto accident depends, to a large extent, on whether the victim is operating under the no-fault system or the traditional lawsuit system. Under the no-fault system a victim typically files a claim with his or her own insurance provider who will then reimburse the victim for economic damages such as medical expenses and lost wages. Medical bills–necessary and reasonable cost of medical treatment associated with injuries caused in the accident. Lost wages–if you were unable to work after the accident, you may be entitled to compensation for the time period that you were unable to work. Property damage–if your own insurance policy did not cover the costs associated with repairing your vehicle you may be entitled to recover those costs in a personal injury lawsuit. Out of pocket expenses–costs such as towing, rental car costs, and travel expenses may be compensable. Non-economic damages are intended to compensate the victim for the emotional trauma the accident caused. The value of the non-economic damages portion of your claim or lawsuit is subjective in nature, making it much more difficult to calculate. 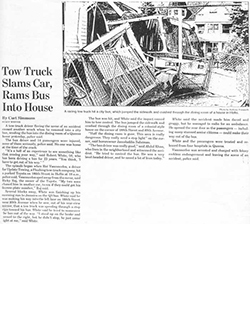 An auto accident can disrupt, even devastate, the life of a victim. If you have been involved in a New York City car accident that was caused, at least in part, by another party, our law office may be able to obtain compensation for you above and beyond that offered by your own liability insurance coverage. At the Law Offices of Adam M. Thompson, P.C. we will work zealously to make sure you are fully and fairly compensated for all of your injuries. Contact us now by calling a href="tel:2122672424">(212) 267-2424 or by filling out our online contact form now.